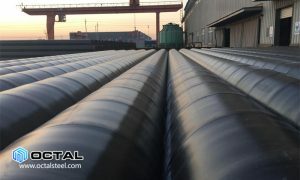 API 5L line pipe (Seamless and welded pipe) of all grades have PSL1 and PSL2 two product specifications, they are different on chemical composition, manufacturing processes, mechanical strength, heat treatment, test records, traceability etc. 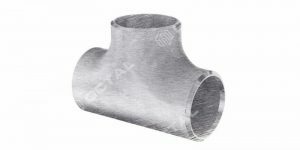 a. PSL is the short name of product standard level. 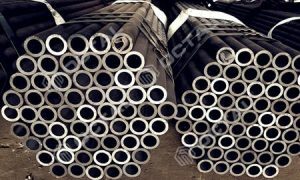 The product standard level of line pipe have PSL1 and PSL2, also we could say the quality standard divided in PSL1 and PSL2. 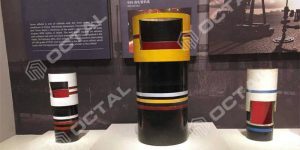 PSL2 is higher than PSL1, not only the inspection standard is different, also the chemical property, mechanical strength standards are different. 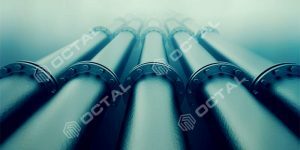 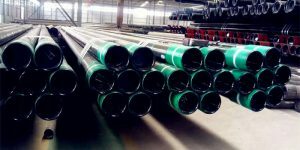 So when place the order for the API 5L line pipe, there should be stated clearly for the size, grades these general specification, also have to clarify the production standard leve, PSL1 or PSL2. 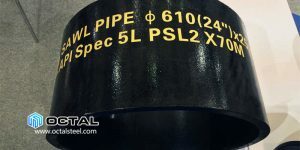 PSL2 is more strictly than PSL1 on the chemical properties, tensile strength, non-destructive test, and impact test. 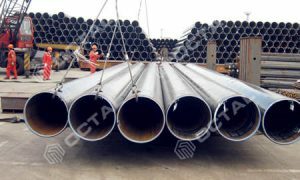 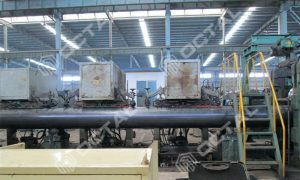 b. API 5L PSL1 steel line pipe not required to do the impact test. 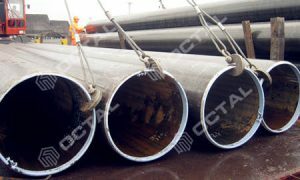 For API 5L PSL2 steel line pipe, except Grade X80, all the other grades of API 5L line pipe required the impact test at temperature of 0℃. 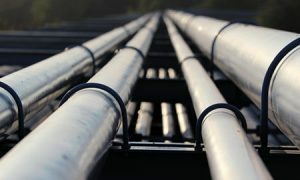 The average value of Akv: longitudinal direction≥41J, tranverse direction≥27J. 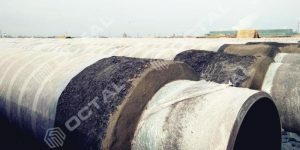 For API 5L Grade X80 PSL2 line pipe, at 0℃ for all the size, impact test the Akv average value: longitudinal direction≥101J, tranverse direction≥68J. 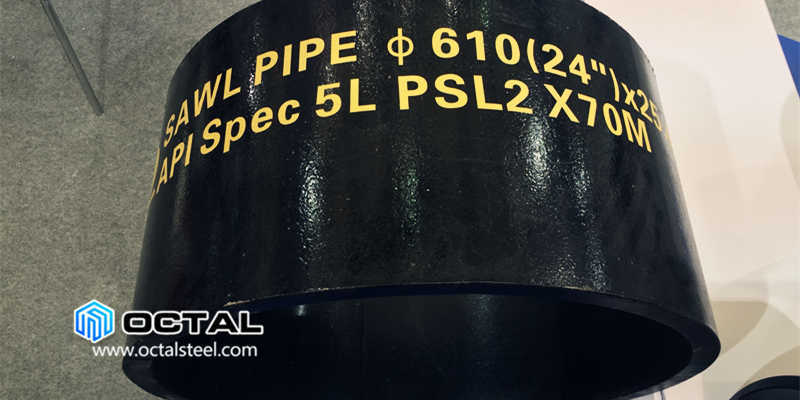 c. For API 5L PSL2 line pipe shall perform the hydraulic test for each single pipe, and in the API standard specification not permit to have Non-destructive test replace the hydraulic test, this also is a big difference between Chinese standard and API 5L standard. 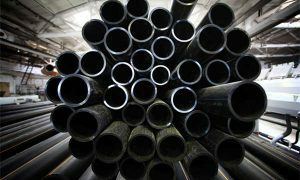 For PSL1 not required Non-destructive test, for PSL2 shall do the Non-destructive test for each single pipe. 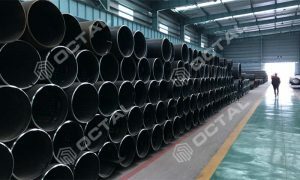 d. Chemical composition and mechanical strength is also different between API 5L PSL1 line pipe and API 5L PSL2 line pipe. 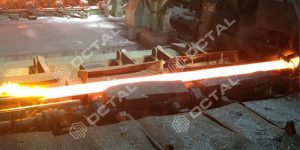 For the detailed specification as below. 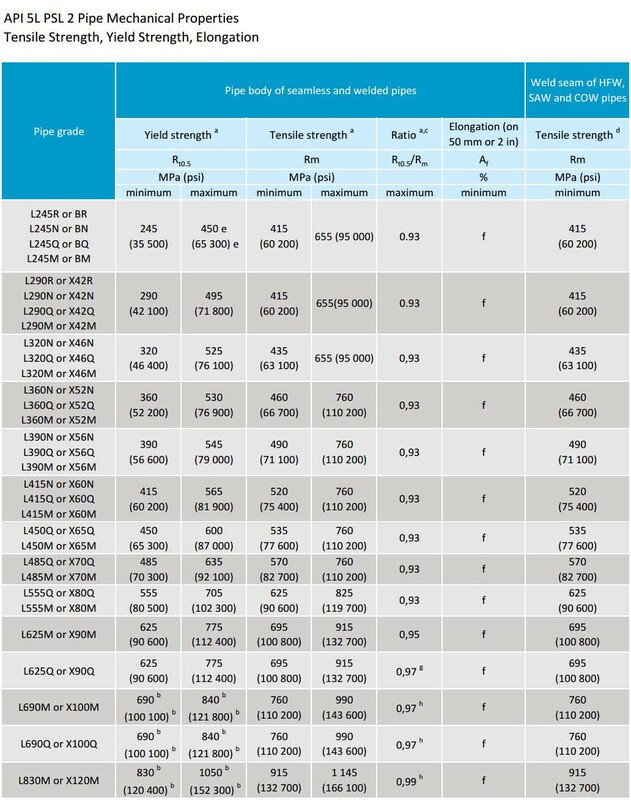 API 5L PSL2 have restrictions with the carbon equivalent content, where for the carbon mass fraction greater than 0.12%, and equal or less than 0.12%. 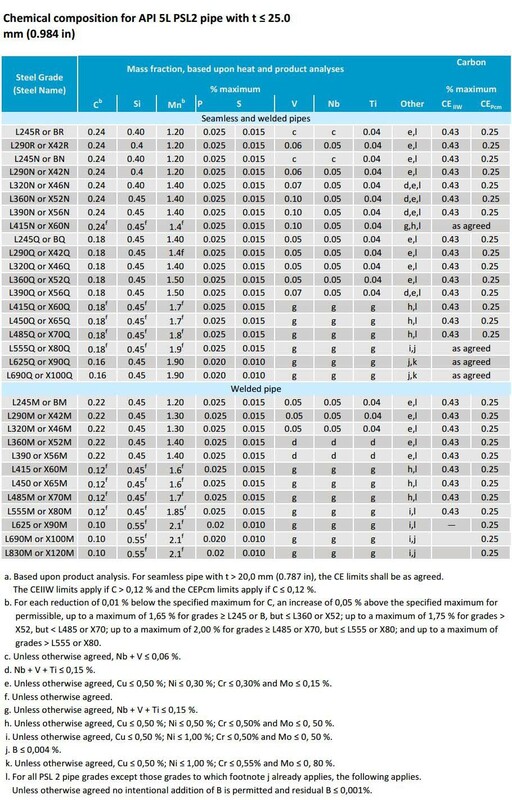 Different CEQ shall be applied. 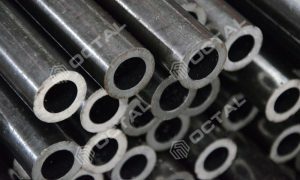 For line pipe in PSL2 tensile strength have maximum limits. 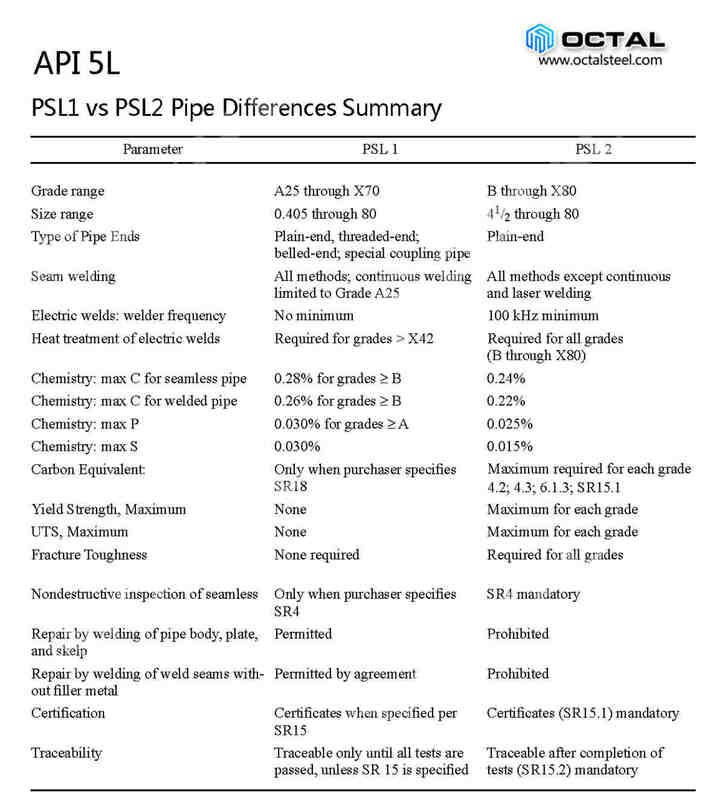 More info please review API 5L Specification part 9.2 and 9.3.